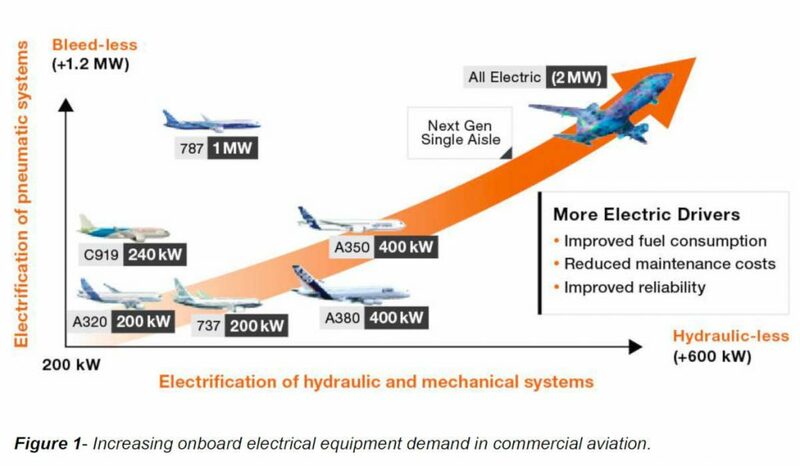 A technical paper published on March 26, 2019, by UTAP illustrates the growth in electrical power demand in aviation, particularly around the electrification of conventional accessory systems. UTAP explains the most-electric airplane today is the Boeing 787 with an electric power demand in the order of 1.5 MW. (Image: UTAP). Collins Aerospace Systems revealed plans to build what it is calling The Grid, an electric power systems lab the company expects to be the most-advanced facility in the aerospace industry to design and test systems like high-power generators for the next generation of electric aircraft. Work on the 25,000-square-foot, high-power, high-voltage lab is already underway in Rockford, Illinois. It is expected to be fully operational by 2021. Collins Aerospace is targeting a $67 million (US$50 million) investment into the lab, which is to focus on electric power for a range of aviation sectors like commercial, military, business aviation, UAV and urban air mobility platforms. The company describes its investment in The Grid as part of a larger, approximate $200 million (US$150 million) total investment in electric systems it will make over the next three years. Collins Aerospace states it has already invested $4 billion (US$3 billion) on electric architectures over the past decade. Among the first platforms to be supported by The Grid is the recently unveiled United Technologies hybrid-electric flight demonstrator, Project 804. This project is named for the straight-line mileage between Collins Aerospace’s facilities in Rockford and Pratt & Whitney’s facility in Montreal, Quebec, which is also working on the project. United Technologies is the parent company of both Collins Aerospace and Pratt & Whitney. 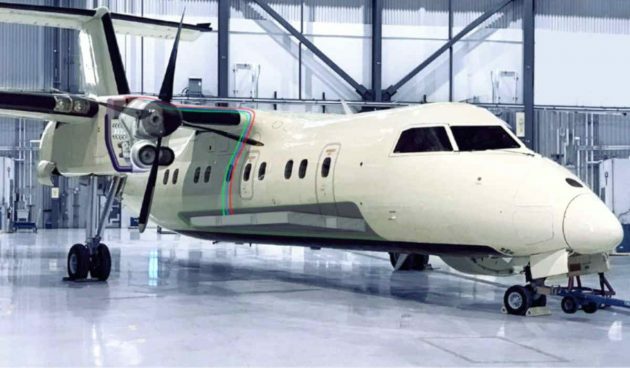 The goal of Project 804, developed by the new United Technologies Advanced Projects (UTAP) division, is to re-engine and fly a regional turboprop aircraft powered by a 2 megawatt-class hybrid-electric propulsion system on what the company describes as a highly aggressive timeline. This converted Bombardier Dash 8 Q100 is projected to fly in 2022. An illustration of the proposed hybrid-electric demonstrator, a Bombardier Dash 8 Q100, which will be re-engined on one side with a 2-megawatt-class propulsion system, augmented by a battery-powered electric motor that can provide one megawatt of power in parallel. The battery, its power management system, and power electronics will be installed in the cabin; and the hybrid electric propulsion system will be mounted in a modified nacelle. (Image: UTAP). Collins Aerospace will use The Grid to help design and test a 1 megawatt motor, motor controller and battery system in support of this goal. The 1 megawatt motor will be the aerospace industry’s most power dense and efficient to date, according to Collins Aerospace, and the new motor and motor controller will be used to assist the demonstrator’s fuel-burning engine as part of its hybrid-electric propulsion system. Collins Aerospace states The Grid will be one of a select few facilities in the world with the capability to test complete electric propulsion systems of this capacity.